REVIEW – Meet your new favorite travel buddy! 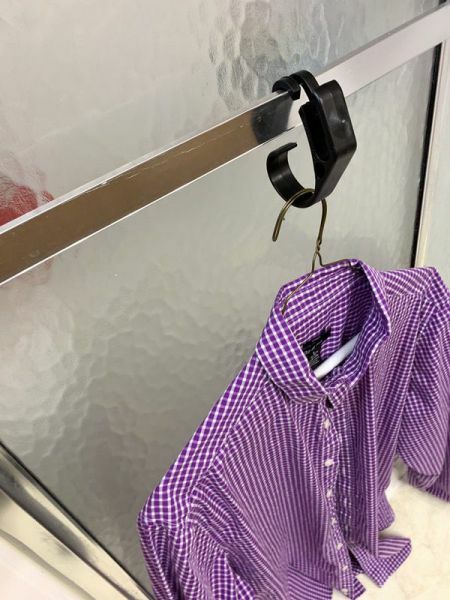 The Steam Clip was initially designed to enable you to hang your clothes while you shower, using the steam to get out those nasty wrinkles from your suitcase. 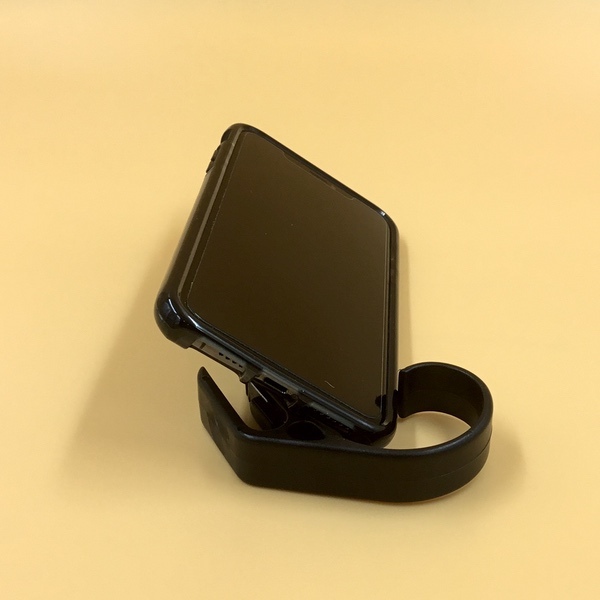 But it has a bunch of other features that make it an essential multipurpose tool for life on the road… or the resort… or the cruise ship. To the review! 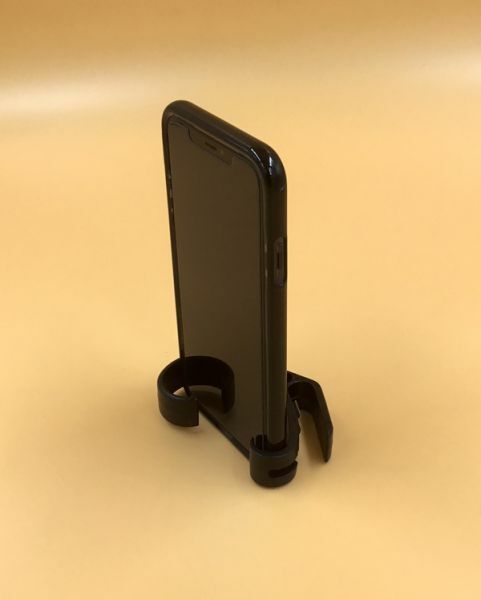 It’s an award-winning multifunction travel accessory that acts as a hangar, a bottle opener, a thread/tag cutter, and a smartphone stand. 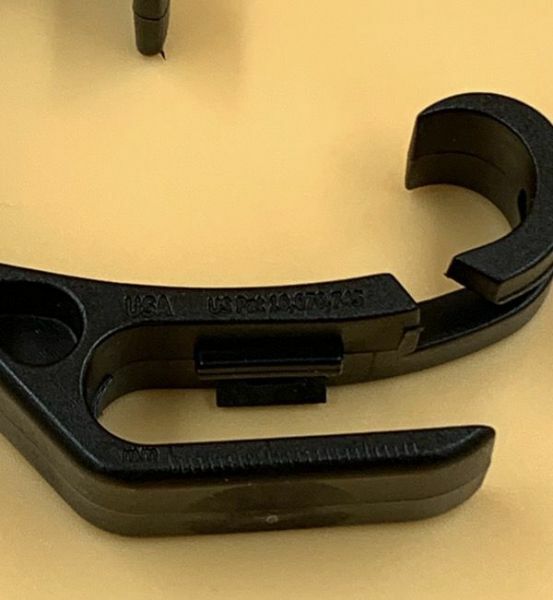 Steam Clip inventor Randy Blevins came up with the idea after logging way too many travel miles. 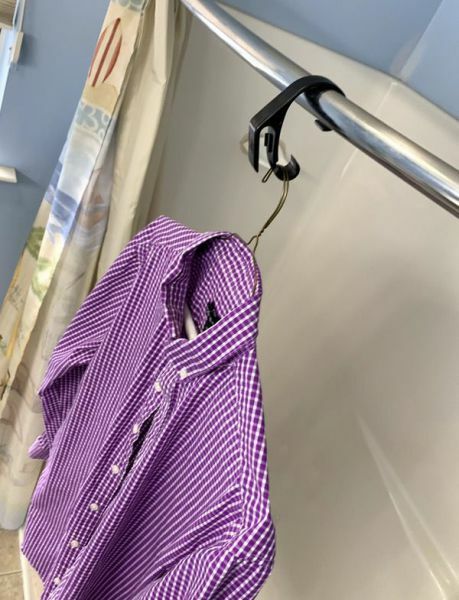 He was looking for a gadget that would allow him to hang his clothes in or near the shower to enable the steam to unwrinkle his clothes, but it had to be something that could work in the different environments one finds in hotel rooms, ship cabins, and rental properties. Add in a few very useful bonus features, and the Steam Clip was born. 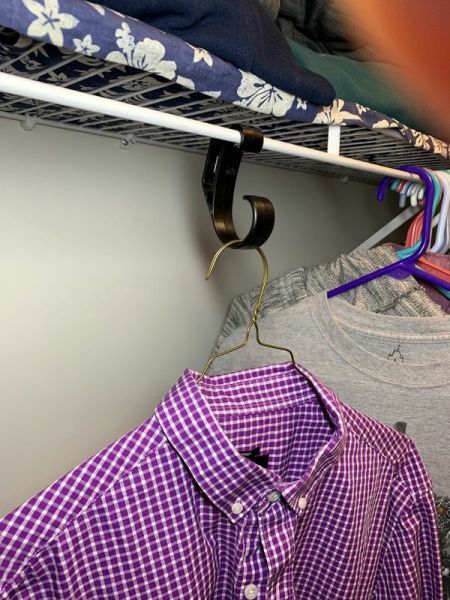 The Steam Clip has a lot of uses on the road in addition to creating a solution for steaming out your clothes. 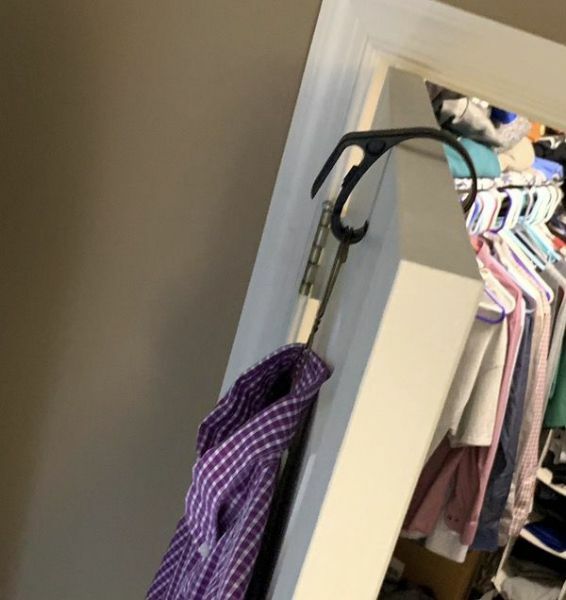 If you travel a bit you know that hotel rooms are often lacking in places to hang your stuff. The construction is beefy enough that you can also use it to hang your bag or an organizer when you get to your destination. It’s great for hanging a suit jacket (or suit bag) from the rear grab handles in a rental car. I’ve also found it to be very handy to keep my bag or jacket off of those questionable floors in public restrooms or coffee shops. 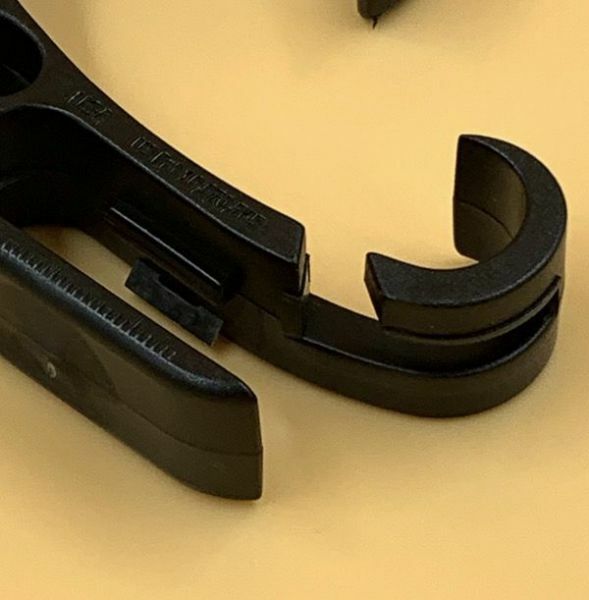 Toss in that tag remover for that new dress shirt and a bottle opener, and you’ve got a clever little addition to your kit that takes up virtually no room. Genius! A well thought out multitasker that has multiple uses for the heavy traveler. Small enough to stash anywhere in your bag, your carryon, or your suitcase. Who says that innovation is dead? 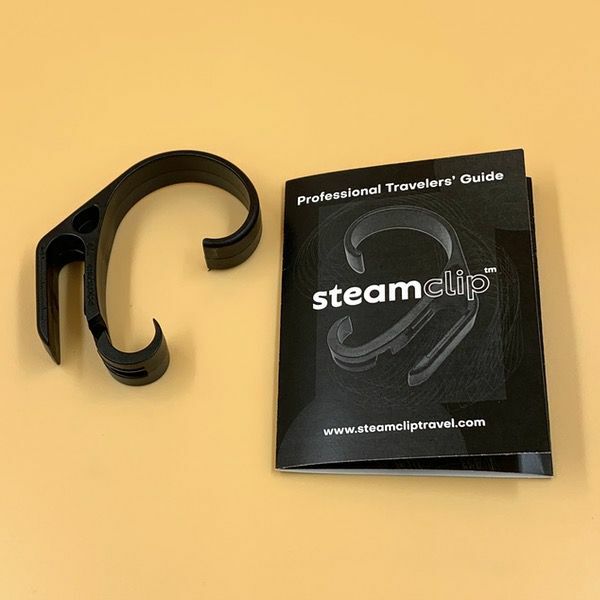 The Steam Clip is a brilliant little piece of design that solves multiple problems for the traveler. I can see why it has won so many awards. I’ll be grabbing a few of these for friends and family that travel. I have some trips scheduled in the spring, so I’ll report back on the different uses I find for it on the road! 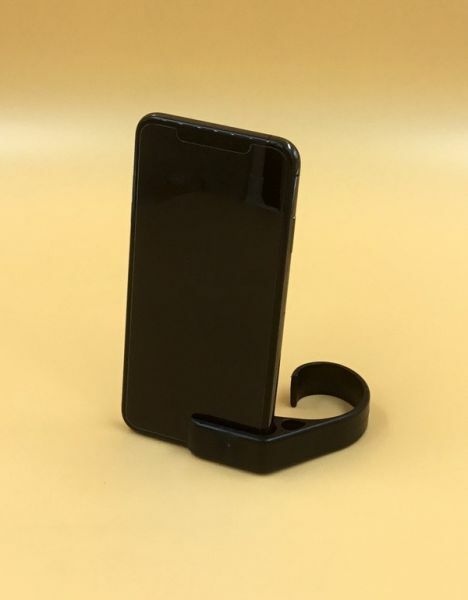 How can a simple piece of plastic be so useful? I just love this thing. Wherever I go and whatever I am doing, I have a hook to hang my coat and/or my bag. And it keeps my stuff off the floor in the restrooms. Hooray for cleanliness! 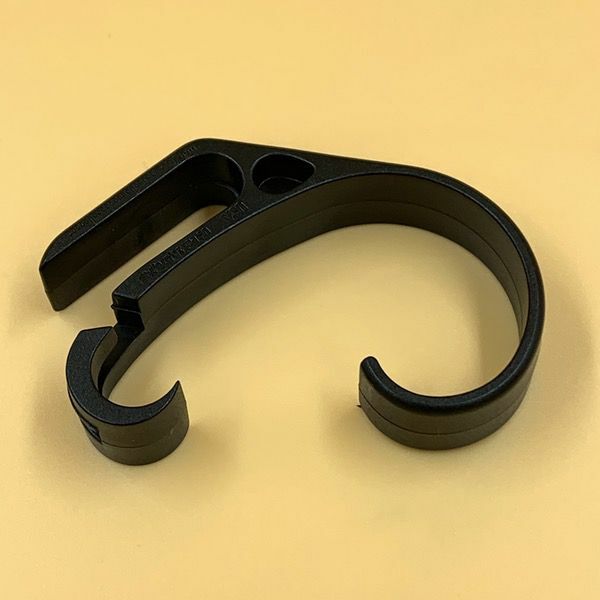 Price: $15.95, but on sale for $12.88 with discounts available if you purchase multiple Steam Clips at once. Where to buy: Visit the Steam Clip web site for purchase. 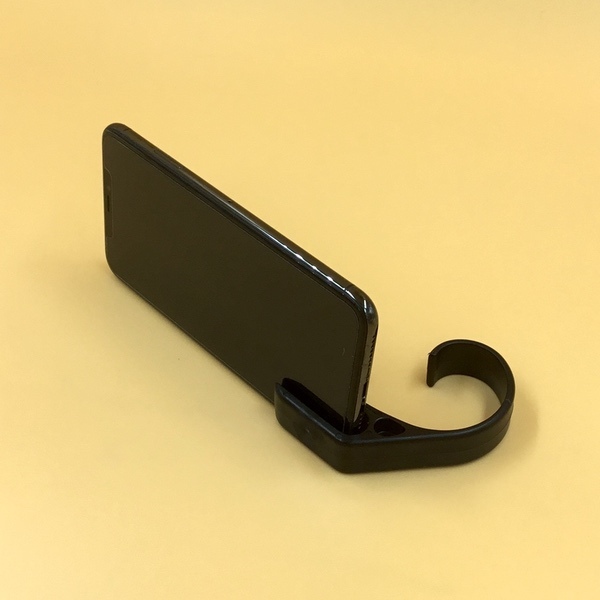 Source: The sample of this product was provided by Steam Clip. I have a couple. They do seem to be well made and work. 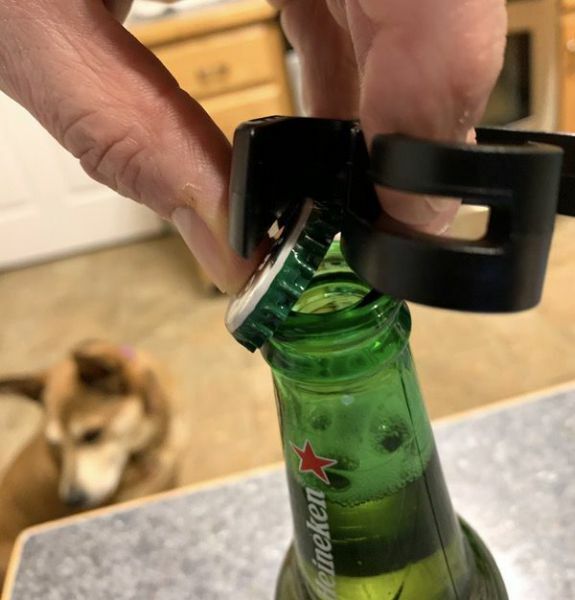 Wish there had been an option without the bottle opener. It’s a thin shard of metal that can tear or scratch surfaces it comes in contact with (luggage bags, smartphone screens). That’s an interesting point. I’ll have to keep an eye out for that as I use it! Wow, that’s a lot of function just on a single device.. definitely getting one of these.. Very cool. Very informative review you have there Bob. Thank you. Thanks, Nhick! I appreciate the kind words!